Earn 64995 loyalty points when you order this item. 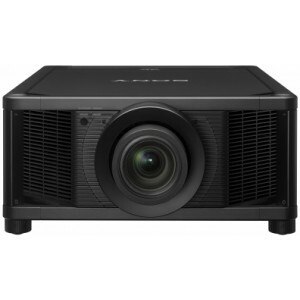 Sony VPL-VW5000ES 4K is the flagship projector of the range and an ideal choice for the largest and most lavish home cinemas, breathing new life into movies with exceptional detail, colour and contrast. 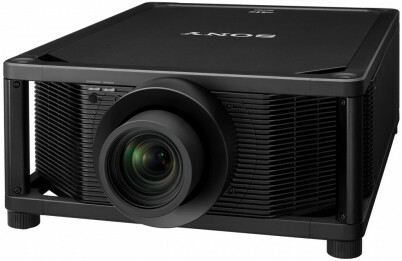 Combing innovative and consistent Z-Phosphor laser light source with the 4K SXRD technology found in Sony’s Pro range of cinema projectors, VPL-VW500ES is arguably the most advanced home cinema projector in the world. 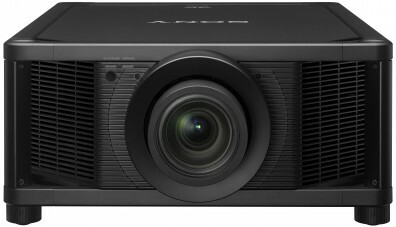 VPL-VW5000ES has impressive 5,000-lumen brightness and a spectacularly high contrast range so big-screen pictures are crystal clear and sharp even in well-lit rooms. The ultra-pure, highly efficient laser light source provides virtually maintenance-free operation with no lamp swaps. In addition to outstanding picture class and reliability, you get low running costs along with less potential of lamp failure in the middle of the show. SXRD conveys sharp and rich native 4K (4096 x 2160) pictures with no synthetic pixel augmentation. Every detail is wonderfully pure and natural, without jagged edges or visible pixels, and four times the resolution of Full HD pulling you right into the heart of the action with unprecedented clarity. Enjoy an extended range of spectacular colours far wider than a standard projection system. The VPL-VW5000ES supports the same DCI-P3 colour space as professional cinema projectors as well as the new BT.2020 colour space to accurately capture an even wider range of true-to-life tones. Enjoy every second of the action, each detail with least possible blur regardless of the speed of the sequence thanks to Motionflow technology combined with the ultra-fast response rate of the SXRD. Sony's ‘Film Projection’ and ‘Motion Enhancer’ technologies add frames while minimising blur and retaining brightness in exciting, rapid scenes. Choose ‘True Cinema’ to preserve the original 24fps. Exploit HDR for remarkable contrast and stunning brightness levels delivering intense highlights to incredibly detailed shadows. You can project Ultra HD data at up to 60 fps for slicker images with greater colour and realism. Enjoy cutting-edge 4K content facilities with support for HDCP 2.2. Compatibility with latest 4K standards, including High Frame Rates and HDR, future-proofs you with the very best of new and upcoming technology. With flexible installation, simple setup, fuss-free auto calibration and low-noise operation, the VPL-VW5000ES puts you in control of the ultimate entertainment experience. On top of projecting native 4K data, this unit upscales full HD movies from Blu-ray or DVDs to 4K with Sony’s super-resolution handling mechanism called “Reality Creation” which boosts inferior-resolution images and also upscales 3D movies to 4K resolution. Picture Position is a function that stores and remembers up to five zoom positions for the lens to be recalled later. Stored settings can be matched to a movie’s aspect ratio including Cinemascope. The projector allows versatile installation i.e rear projection in a vast array of home cinema scenarios thanks to the ±30° tilt ability. 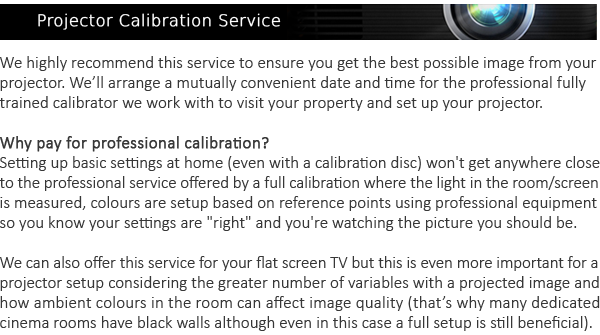 For a fast and simple setup, auto calibration easily assures great images. As the fan is located at the front, you need not worry about room for air or distance from wall upon installing. This maximises the throw distance for larger projected pictures. An integrated RF transmitter coordinates with RF 3D glasses for broader coverage and more stability, eliminating the requirement for a separate transmitter.